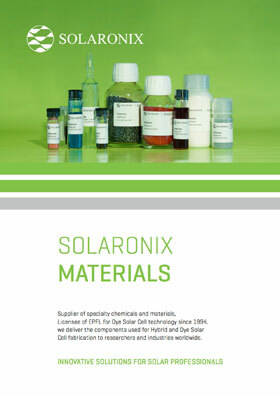 Join the revolution of the most stable, yet efficient, Monolithic Perovskite Solar Cell structure with our whole new kit. Get our ready-to-use monolithic electrodes bearing all of the compact TiO2, mesoporous TiO2, mesoporous ZrO2, and carbon layers in optimal thicknesses. To complete the device, apply the adhesive impregnation mask to avoid liquid spreads outside the active area. Drop the precursor solution, and let it sip into the porous structure. 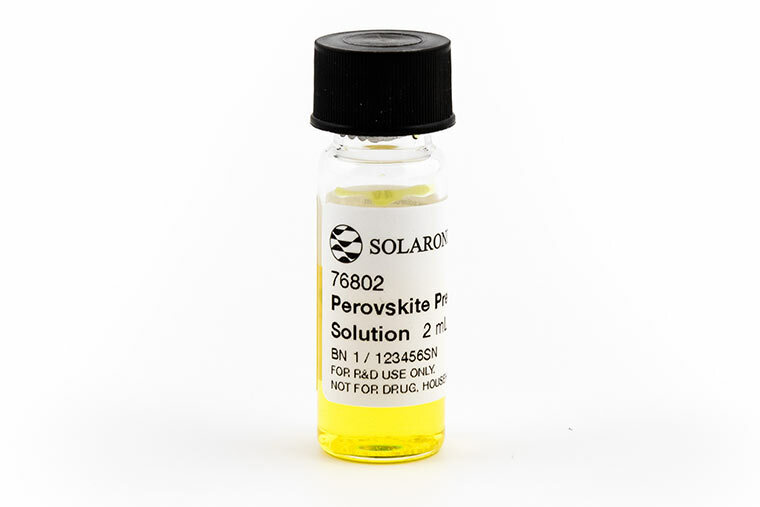 Perovskite will grow within the electrode stack upon annealing, and result in a fully functional, air stable perovskite solar cell. NB: Applying heat/damp treatment, or light-soaking the device in short-circuit for some time typically helps reaching nominal performance. See J. Mater. Chem. A 2017, 5, 12060-12067 [doi:10.1039/C7TA04132B]. Silver Contacts Electrodes, 18 pcs. 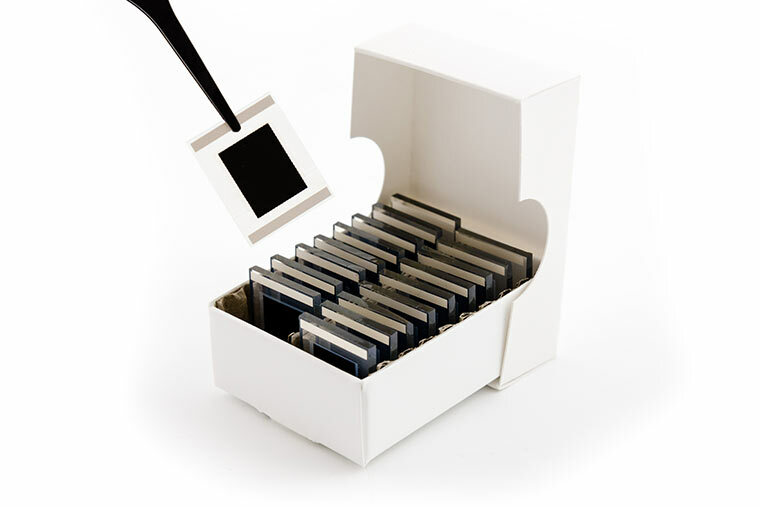 Compact Titania Electrodes, 18 pcs. Mesoporous Titania Electrodes, 18 pcs. Mesoporous Zirconia Electrodes, 18 pcs. Carbon Monolithic Electrodes, 18 pcs. Set of electrodes, comprising compact TiO2, mesoporous TiO2, mesoporous ZrO2, and carbon layers in optimal thicknesses. 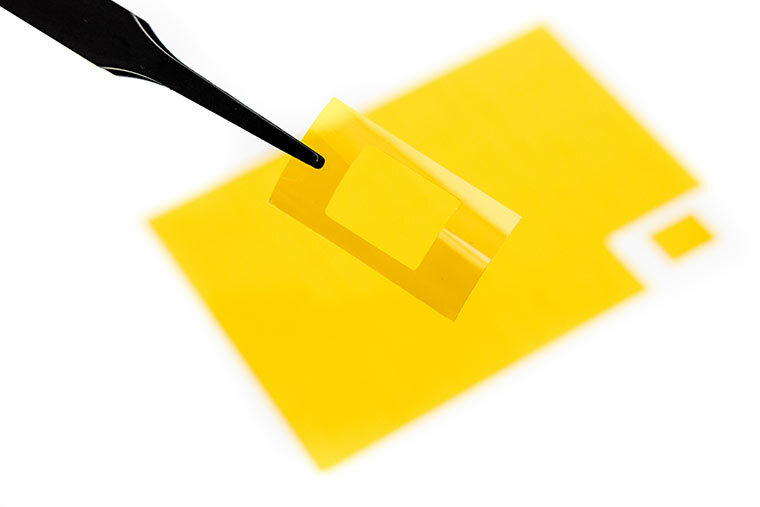 Set of adhesive polyimide masks matched to monolithic electrodes, and resistant to perovskite precursor solution. Pre-mixed solution for the infiltration of CH3NH2PbI3 perovskite into monolithic electrodes in a single step. 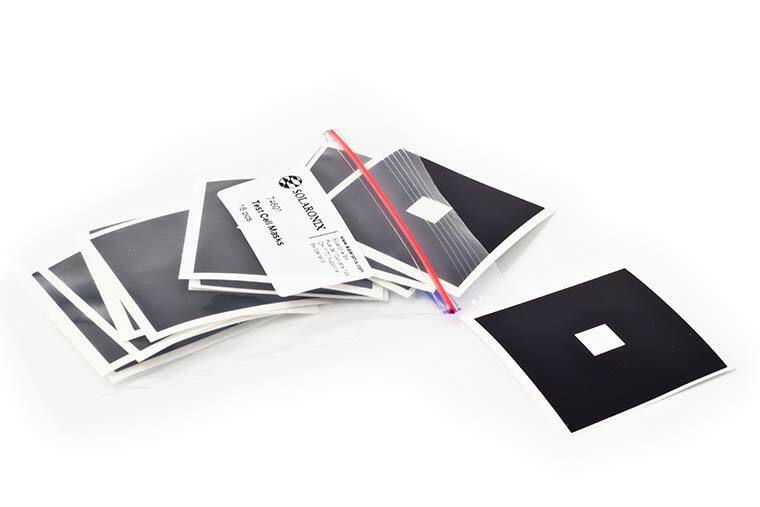 Set of 20 adhesive black vinyl masks bearing an 8 x8 mm aperture for accurate efficiency measurements.